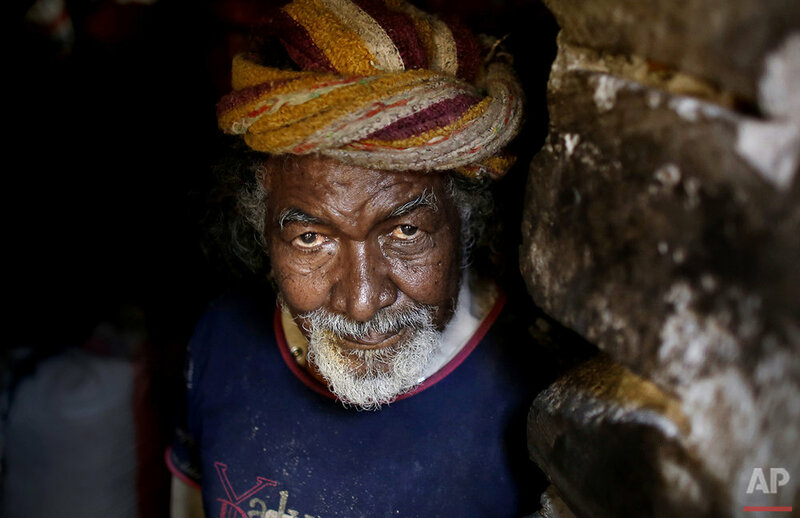 They call themselves the "Muhammasheen," or "the Marginalized," a dark-skinned ethnic group that for centuries has been consigned to the bottom of Yemen's social scale, faced with discrimination and racism, shunned by others. They live in shantytowns on the outskirts of cities, are often refused schooling and work menial jobs like shoe-shining or street cleaning or turn to begging. Other Yemenis have traditionally called them the "Akhdam," or "servants." In a country where belonging to a tribe is vital to guaranteeing protection, status and livelihood, their community — which some estimates say numbers nearly 3 million people — is without a tribe and ignored by the government. As a result, they have been hit particularly hard in Yemen's civil war that is pitting the government, backed by a Saudi-led coalition, against Shiite rebels known as Houthis and forces loyal to Yemen's ousted president. 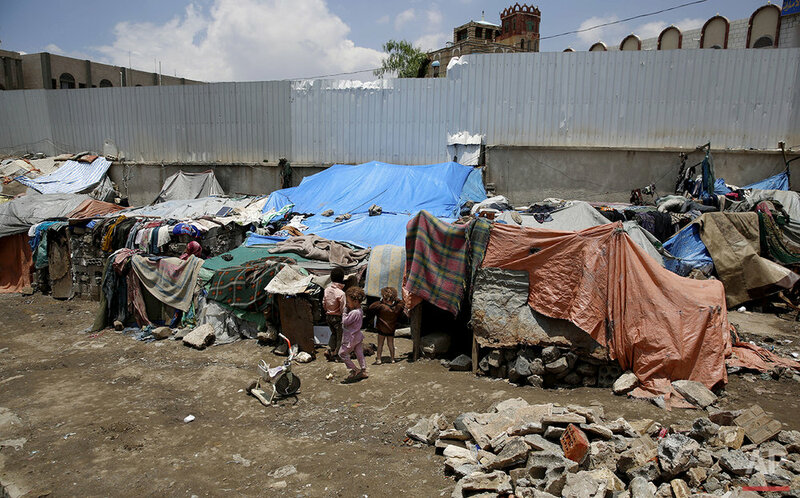 Their neighborhoods have been pounded both by coalition airstrikes and Houthi shelling, shattering their makeshift homes cobbled together from sheets of metal, cardboard and blankets. Many have been thrown into a state of constant displacement, with no one to take them in. Some tell of fleeing from strikes by one side, only to be hit again by another of the many factions and combatants in the conflict. 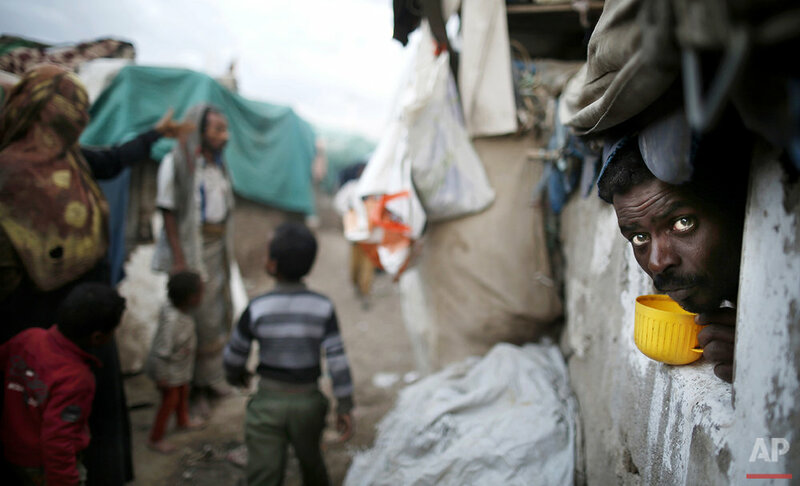 Yemeni groups distributing humanitarian aid ignore them, they say. "We are naked. 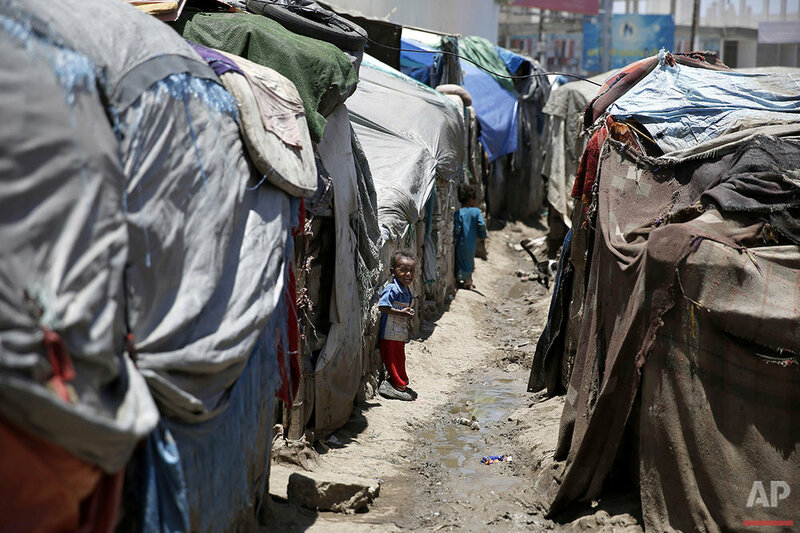 We have nothing," Houssna Mohammed said, choking back tears as she stood at the charred remains of her shack in a slum of the Marginalized in the western city of Taiz. She said her home was burned down in March when a mortar hit her neighbor and the fire was blown to her shack. Walid Abdullah, a 20-year-old member of the Marginalized, said his home district in Taiz, al-Jahmaliya, was hit early on in the war by shelling. The whole community of 200 families fled to al-Rahda, another town in Taiz province. Later they had to flee again when Saudi airstrikes hit al-Rahda. 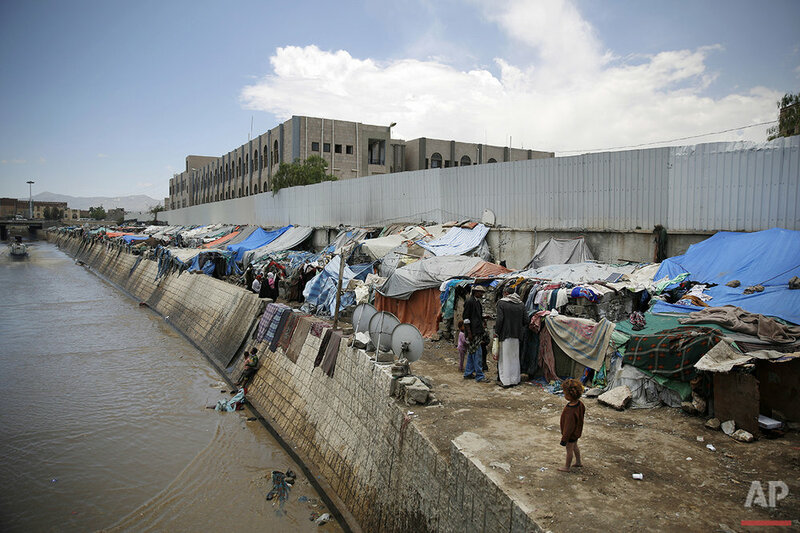 Now he is in Sanaa, the Yemeni capital, and he says his family is spread around multiple slums in the city. In the airstrikes, he lost his only source of income, a motorbike he offered for rent. "Now I have nothing," he said. An estimated 9,000 people have been killed in the past year of fighting in Yemen, and more than 2.4 million have been driven from their homes. The death toll among the Marginalized is difficult to verify because few pay attention to them. One advocacy group, the Yemeni Organization Against Discrimination, said it has documented more than 300 killed, including 68 children and 56 women. Yahia Said, the head of the organization, said the true number is likely much higher. The origins of the Muhammasheen are unclear. Popular tradition has it that they are the descendants of Ethiopian soldiers who invaded Yemen in the 6th century. Other theories suggest they were African peoples who were among the first to inhabit coastal cities in Yemen. Official government statistics have put their population at around 500,000, but Marginalized activists say they number around 3 million. UNICEF has estimated they amount to about 10 percent of the population, or 2.6 million. For generations, they have been treated as a permanent underclass. 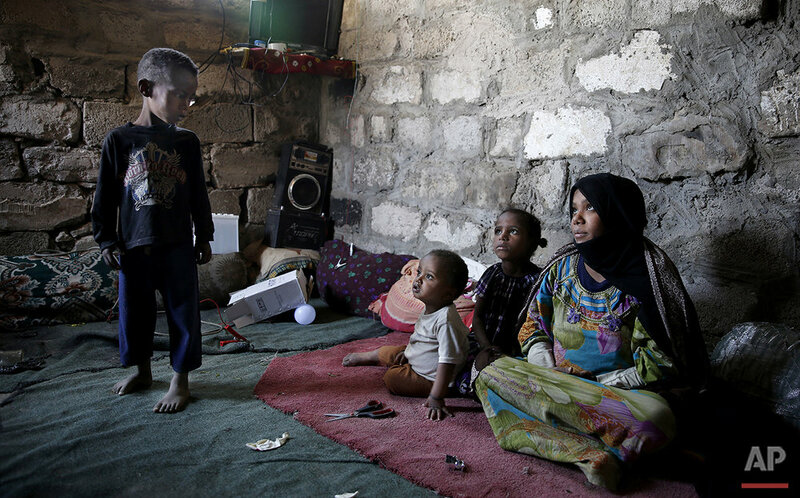 Yemenis call them unclean and tell their children not to mingle with them. One common proverb among Yemenis goes, "Clean your plate if it is touched by a dog, but break it if it's touched by a Khadem." Activists say schools and hospitals often turn them away. They say women in the community are vulnerable to sexual abuse by other Yemenis, who are confident courts won't prosecute them or that their tribes will intimidate the Marginalized into silence. In contrast, if a Marginalized man is believed to be fraternizing with an outside woman, his entire community can be driven from their homes as punishment. The children of the Marginalized who defy social stigma and attend schools often face harassment from teachers and fellow students. Said recalled how, when he was in first grade, his teacher accused the blacks of Yemen of being the descendants of those who tried to destroy the Kaaba, Islam's holiest site, located in Mecca. It was a reference to a historical incident in which an Ethiopian Christian king of Yemen is said to have sent an army with elephants to destroy the Kaaba. "Imagine 70 students looking at me in disgust," Said remembered. Saleh al-Bair studied political science at universities in the Soviet Union and Cuba in the 1990s, one of the few Marginalized to gain access to education abroad. Yet he now works as a shoe shiner in Sanaa. He said that even before the war, his community had no rights. "If you go to court, the judge won't summon me using my name but would say, 'servant.' So what kind of justice would you expect after that?" he said. In 2014, UNICEF conducted a survey of more than 9,000 Marginalized families in the city of Taiz, site of one of their largest communities. It found high levels of poverty and low levels of education, all far worse than national averages. Only half the children were in school, 80 percent of the adults and nearly 52 percent of 10-14-year-olds were illiterate. More than half the children under 1 year old had not been immunized. Buthaina al-Iryani, social protection specialist at UNICEF, said that the agency distributes cash to the families of the Marginalized in Sanaa and Taiz due to their urgent needs. But she acknowledged, "This is a drop in the ocean." Now after a year of war, they have completely fallen off the social hierarchy. More than ever, begging has become their only source of revenue. Barefoot children with matted hair, faces covered in dust, are seen sleeping on streets while their mothers cloaked in black extend their hands to pedestrians, begging for money. "The humanitarian situation is miserable," said Noaman al-Houzifi, the head of the National Union of the Marginalized. While others have tribes or wealthy relatives to help or host them if they have to flee their homes, "for the Marginalized, they have nothing." He and other Marginalized activists say local operators distributing humanitarian aid pass them over. "Even the blankets distributed by the aid and relief groups, the Marginalized are excluded from receiving such help," said Misk al-Maqmari, a 25-year-old Marginalized activist running a local group called Enough. At hospitals, Marginalized wounded in fighting are often not given beds or treatment and are left to die, she said. "As if they are animals. Even animals have rights." Text from the AP news story, The 'untouchables' of Yemen caught in crossfire of war, by Ahmed al-Haj and Maggie Michael.